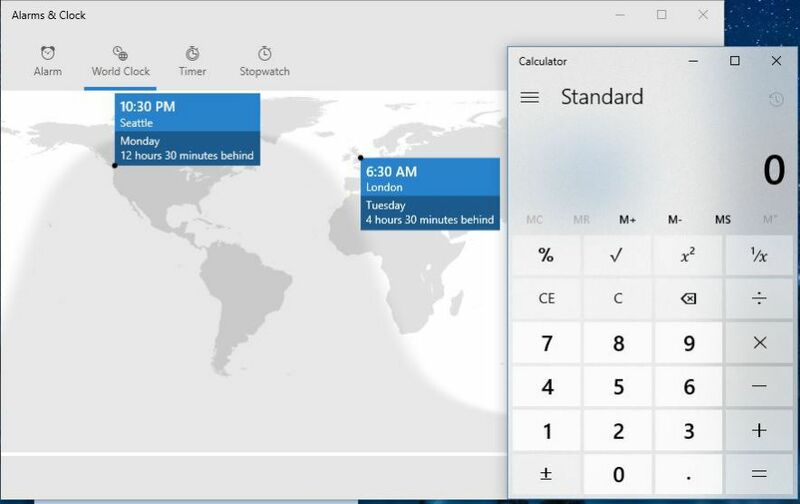 Microsoft has released a new update for Calculator and Alarms & Clock apps. The latest Calculator update 10.1705.1302.0 and Alarms & Clock update 10.1704.1013.0 brings Microsoft’s new Fluent Design to end users. The new Microsoft Fluent Design adds new transparency effects to the Calculator and Alarms and Clock apps. Previously, the new app UI design was released to Insider members. More Fluent Design user interface supported apps will be released soon. Microsoft will release Fluent Design with Windows 10 Fall Creators Update(Redstone 3) later this year. You can download the latest updates for Calculator and Alarms & Clock apps from the Windows Store or from the link below.